I remember the first time I ever picked up bodybuilding magazine with the intention oflearning how to train and grow. I knew nothing at the time but was ready to soak up all the information that this magazine was ready to give. I found the workout of the biggest guy in the magazine (an IFBB pro who shall remain nameless). This magazine listed his favorite workout plan and his reasons why it was his favorite. One statement gave me an answer I was looking for. 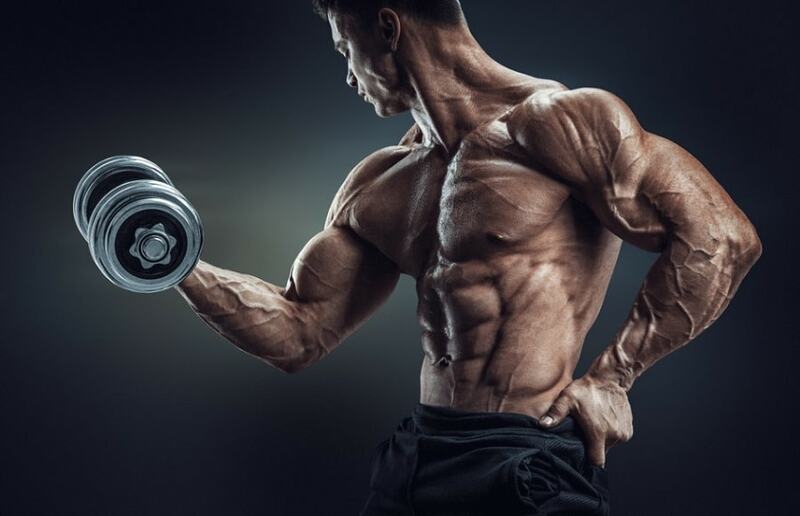 This bodybuilder stated, “When I am trying to get big, I lift heavy for low reps, but when it is time to get lean for a show I lift light weight for high reps. This is what really burns the fat.” I figured this had to be true since he was huge and lean. As I became more embedded into the bodybuilding world, I would hear this same bit of “knowledge” over and over again. In my never-ending search for knowledge it did not take me long to discover that this common mantra of, low reps for mass and high reps for cuts, was just plain wrong. The truth about rep ranges is something that is largely unknown within the bodybuilding community. I work with clients of all different experience levels. Some have been competing for years and have reached top levels of competition, while others are just starting out on their bodybuilding journey. It doesn’t matter the level of the trainee, I am always shocked to find that this is a rather simple topic that is largely misunderstood. Well, no more! I want to clear the air. This may not be groundbreaking new information to the bodybuilding world, but it is something that every bodybuilder should know. Low reps are usually categorized as reps in the 1-5 range. It is often said that low reps will stimulate fast twitch muscle fibers while high reps stimulate the slow twitch muscle fibers. This is yet another false fact about rep ranges. The truth is that low reps will stimulate ALL muscle fibers from slow to intermediate to fast and everything in between. The body calls fibers into play on an as needed basis in order from slow to intermediate to fast. When a load is placed on a muscle, the slow twitch fibers will be recruited first. If the slow twitch fibers cannot generate enough force to lift the weight then the body will call the intermediate fibers into action. If the slow and intermediate fibers cannot handle the weight or tire out then the fast twitch fibers will finally be recruited. When fibers are recruited they are never recruited half way or partially. When a fiber contracts, it will contract maximally (Saladin, 2007), so this means when you lift a heavy load you will fully stimulate slow and intermediate muscle fibers. Low reps are also effective for stimulating myofibrillar hypertrophy. Myofibrillar hypertrophy is an increase in the number and size of the actin and myosin filaments within muscle tissue. This type of hypertrophy is accompanied by strength gains since it involves an increase in the contractile tissue (Zatsiorsky, 2006). This is important because progressive overload is one of the primary necessities for continued long term growth. So you can see that very heavy weight for low reps is vitally important for maximum growth.